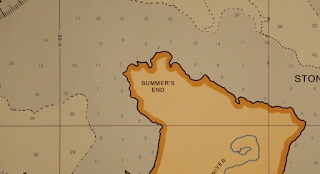 On June 19th, at the time of a New Moon and day before the Summer Solstice, when summer begins in the Northern Hemisphere, @seallion and myself @syncwinnipeg saw the movie Moonrise Kingdom in the theatre. 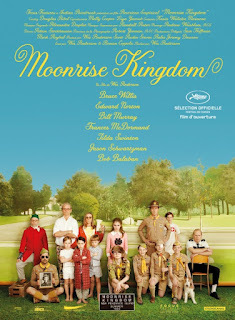 In Moonrise Kingdom the heart prevails. 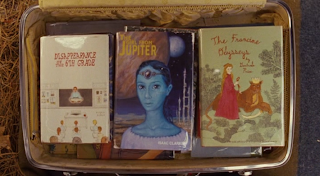 It was a powerful sync moment punctuated by us both jumping out of our seats at the point when the girl opens her suitcase and reveals a book called The Girl From Jupiter. The girl being blue skinned is extra sync juicy. 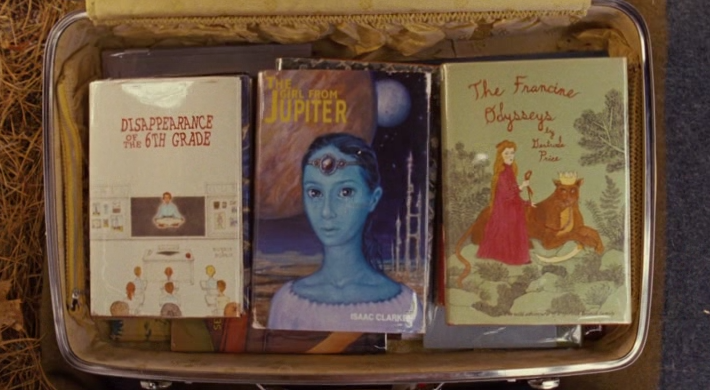 It did not escape us that this was taking place in June, the month named after Juno, or the Girl from Jupiter. The next New Moon of July 18/19th saw the Full Express Tour with Shrillex, Diplo and Grimes playing the Goldeyes baseball stadium kitty corner to the Canadian Museum of Human Rights being constructed. 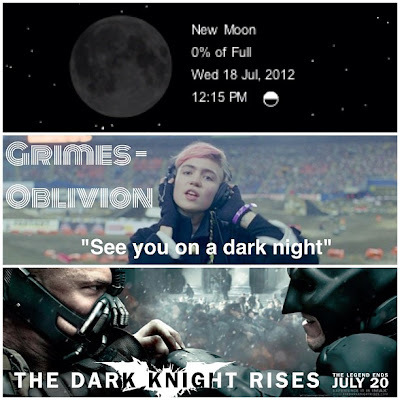 One of Grimes' hits is the song Oblivion where she sings "See you on a dark night." Perhaps she was singing about her performance in Winnipeg on July 18th, night of a new moon and therefor a dark night. @seallion went to the concert and made this video shortly after about the sync web around it all. 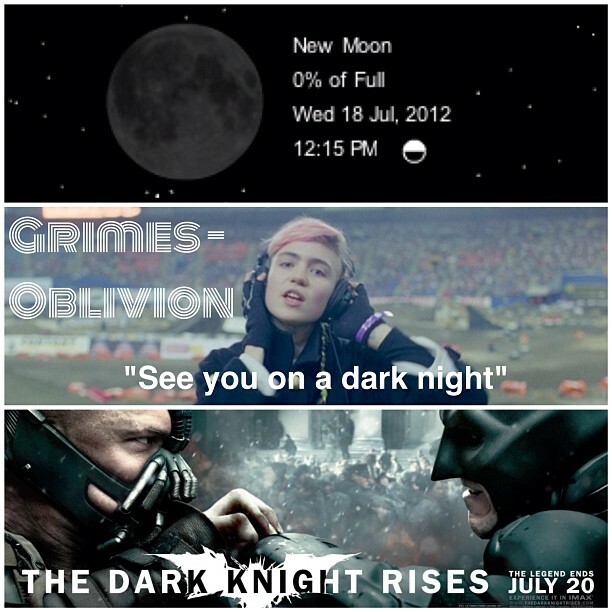 July 20th, 2012, right after Grimes played Winnipeg was the theatrical release of the the Dark Knight Rises. July 20th was also the day I left by airplane to visit Juan at his healing centre in the Peruvian Amazon. This visit was to prepare for his eventual visit to Winnipeg for September, 2012. 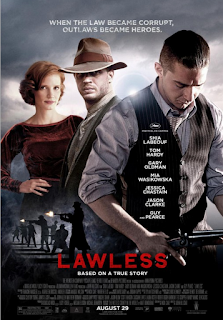 August 31st rolls around and @seallion and I see the movie Lawless in theatres. This also happens to be the night of not only a Full Moon but also a Blue Moon. Meaning a second full moon in one month. Lawless shined bright like twin full moons! 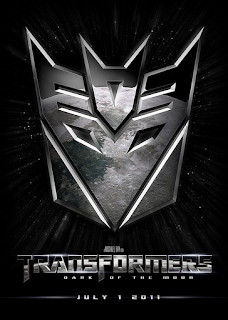 ... and Shia Labeouf from Transformers: Dark of the Moon. 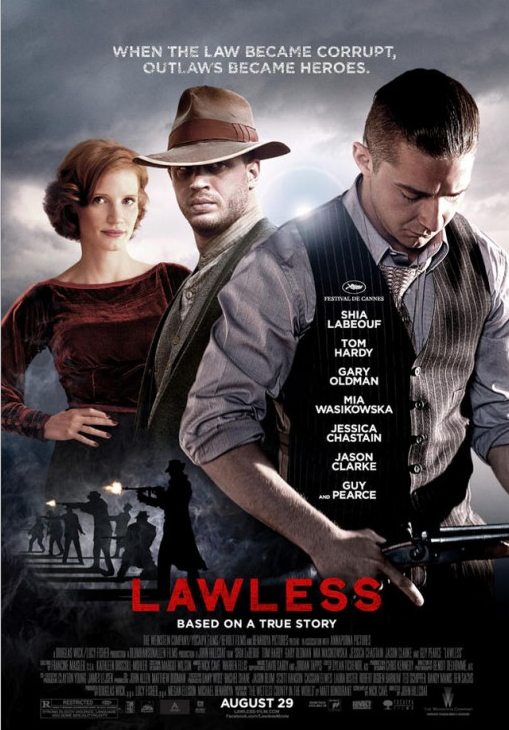 Of course the plot of Lawless has Labeouf and Hardy running a Moonshine business. The Moonshine Conspiracy as they call it. The Moonshine Conspiracy reveals itself even more when we realize that Tom Hardy who plays Bane in Dark Knight Rises, and which opened after a dark night of the New Moon, celebrates his birthday on September 15th. September 15th is not only Tom "Moonshine Conspiracy" Hardy's birthday but is also New Moon as well. Another dark night. This got my attention as September 15th, 2012, was a Saturday and the main day of celebration for the Harvest Moon Festival situated in the Pembina Valley of South West Manitoba. Beyond syncing with the Moon, why this means so much to me is that this little festival, that I help start 12 years ago, and the community that has grown around it, is where and with who, myself and Maestro Juan Flores plan to open Tonkiri: International Centre for the Study of Medicinal Plants. This year was the first year we had the festival on a New Moon. With Tom Hardy's birthday sharing the same day it seemed like a syncnifcant day to say the least. The Moonshine Conspiracy was shining strong in 2012. How great was it that StArmy members @seallion @true and @spktrumsnaketin were at this years festival. Watch video of Juan at the Harvest Moon Festival in 2006. This year Juan could just relax and observe the amazing scene developing around the festival and community. The time seems ripe for opening our centre here. Juan below shows off his new WOLF (FLOW) shirt he bought at the fair trade market at the Harvest Moon Festival. I presume the the wolves on the shirt are howling at the Moon. Howling at the sync flow. Perhaps the best highlight of the festival was Winnipeg band The Imaginary Cities headlining the Saturday night Main Stage. A friend of mine Rusty is the mastermind behind this band. Here he is below sporting an outline of Manitoba with a heart in place of Winnipeg, as well as a Trumpet, his first instrument he learned as a child. Playing the final slot of the Saturday night under a moonless sky Imaginary Cities ends with their hit single Hummingbird. A joyful sign as Tonkiri is the Ashaninkan word for Hummingbird and the symbol of our healing centre to come. T-shirts for Imaginary Cities include a Hummingbird and a horn blowing. These pictures don't do it justice but you can see a little white light above the word festival in the first picture and the to the right top corner in the next. That's Jupiter. The Joy that is here and rising in hearts everywhere. 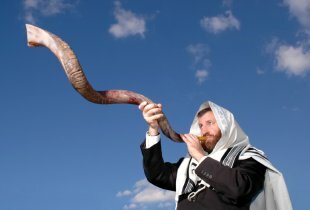 The Shofar, a trumpet like instrument, is commonly associated with these Jewish holy days. The sync trumpets are clearly being blown and heard far and wide. The Harvest Moon Festival ends and we head back to Winnipeg for our final ceremonies at our new ceremony space. A hummingbird mural on the side is in honour of Tonkiri. During our final ceremony Juan sports his headband with 3 gold stars. 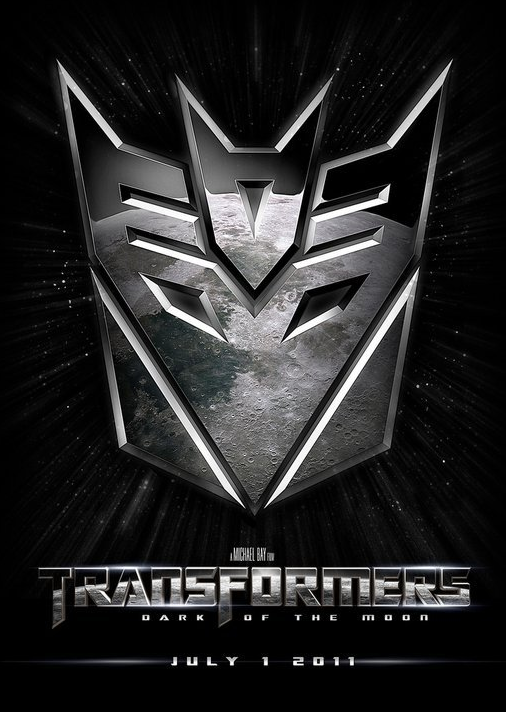 This I quickly recognize as the same formation as seen on the helmet of the 1995 Sylvestor Stallone Judge Dredd character. 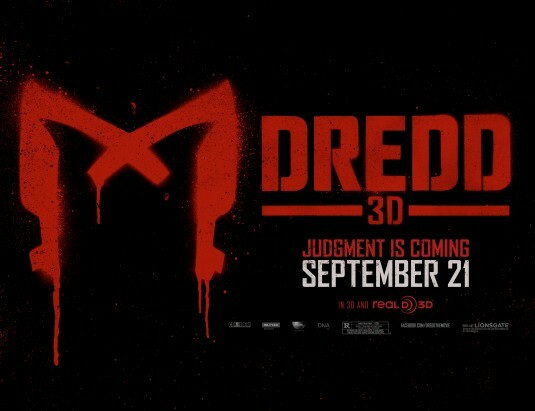 Why I know this is because the new version of Judge Dredd 3D opened on Friday September 21st. Juan would later describe the 3 gold stars as symbolizing Saturn (Father), Mercury (Son) and Jupiter (Holy Spirit). He also has a silver line that symbolizes space and the red headband is for the World. Juan teaches that this configuration of stars is what is manifesting on Earth as we speak, and that the plants contain the Holy Spirit. Ayahuasca is a primary means for distributing the Holy Spirit (Joy) throughout the world. On September 20th, the day after our last ceremony with Juan here, the Canadian Museum of Human Rights celebrated the last piece of glass being put on it. For myself and others this building is clearly the temple for the new age upon us. The last piece of glass is like the last piece of skin being put on the new temple. Skin is like Sync. Through sync/skin we can see the form of God on Earth. The very first Sync Whole post in 2009 was about the Human Rite museum. Read it here: A Dream Becomes a Reality 2012.
back to Peru. We took some photos and celebrated our work over the last few weeks. The Canadian Museum of Human Rights building can be best seen as the Temple at the end of the great Human Rite. Where we come together and celebrate humanity's hard work needed to realize Love on Earth. Coming out of Juan's crown is a feather and behind it is the building's Tower of Hope. Juan Flores (flores is flowers in Spanish) standing outside Tonkiri in Winnipeg. around the world and to pollinate the new Garden on Earth. After saying goodbye to Juan and his family, @seallion @spktrumsnaketin and myself (@syncwinnipeg) went to see the late showing of DreDD 3D (I like how there are 3 D's in the word Dredd and it is in 3D). The other movie that opened that same day was End of Watch. 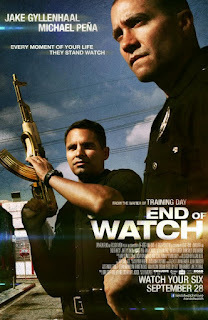 End of watch is Jake Gyllenhaal's first movie since I made the sync video StarG8or in which he plays a role. StarG8or from Mayahuasca on Vimeo. 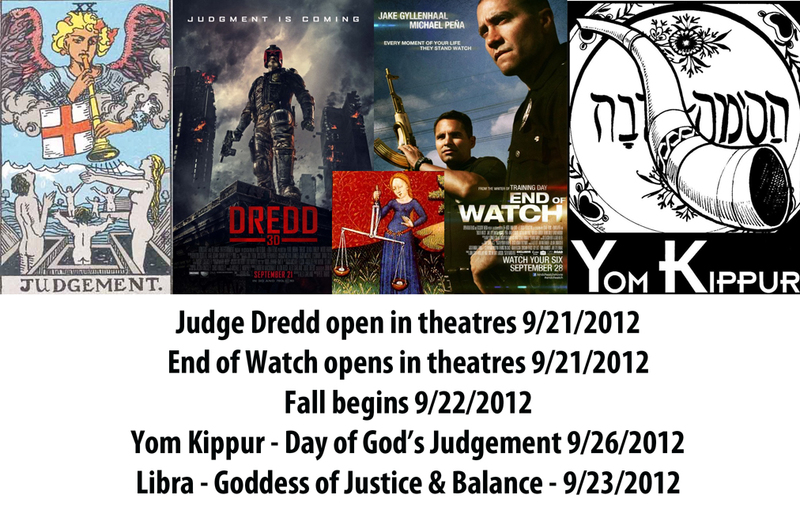 By Saturday September 22nd, Juan Dredd was gone and I was able to watch a movie with my wife at night. 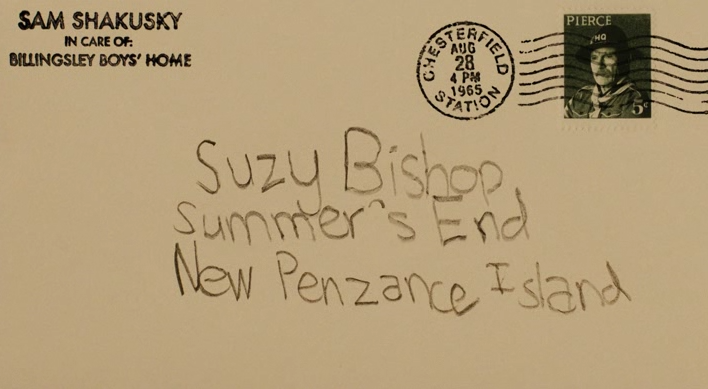 We decided to watch Moonrise Kingdom as she had not seen it. September 22nd was the equinox this year. This was the perfect movie to watch considering I started summer by watching Moonrise Kingdom and September 21st was actually Bill Murray's birthday who stars in it. 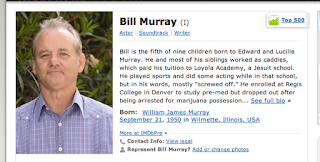 @Seallion's recent video in honour of Bill Murray's birthday and his silly sync web. 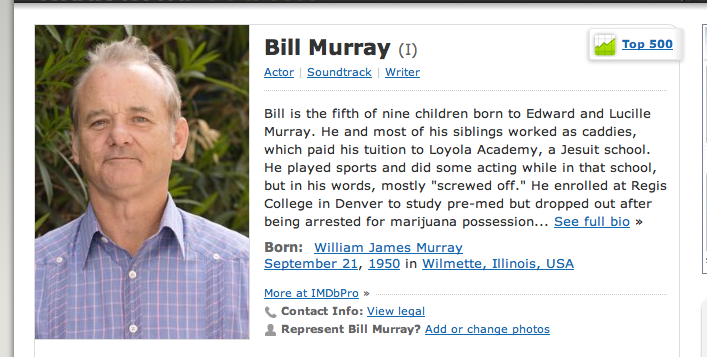 Bill Murray's birthday marks the September Equinox, something hit home by watching him in a movie on the Equinox. 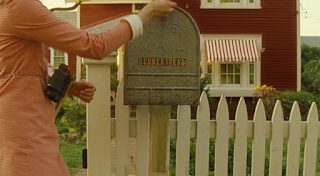 Watching it a second time I realize Bill Murray lives at Summer's End in the movie. How sync perfect as his birthday is at summer's end as well! That is what the Equinox marks. 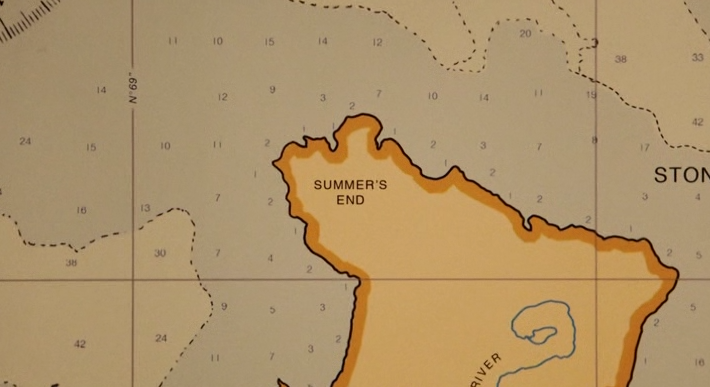 The end of summer! On Monday September 25th, @Seallion and I decide to go see the other movie that opened on the 21st and we see End of Watch. Both Dredd 3D and End of Watch are about cops enforcing the law. They both are films of Judgement. As Yom Kippur is today, the day that I write this and I now realize how heavily this time of year resonates this theme of judgement. 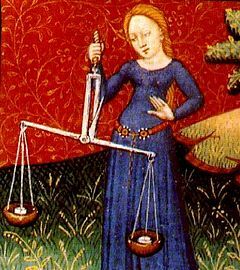 Not only do the movies do so but it is also the time we enter the astrological sign of Libra, the Goddess of Justice and Balance. Yom Kippur as well signifies the end of the period that began with Rosh Hashanah and is the day that God judges and that we ask for forgiveness. When God's watch ends, Love will reign. Our heart/earth will have the final word. Judged by our own hearts. Judge, Jury and Executioner. 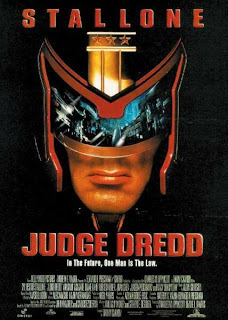 Judge Redd. Sentenced to Love with no chance of parole. As I am writing this post today on Yom Kippur, I notice through the twitter feed that Andy Willams, famous for singing "Moon River" has died at the age of 84. The video uses the song Moon River. 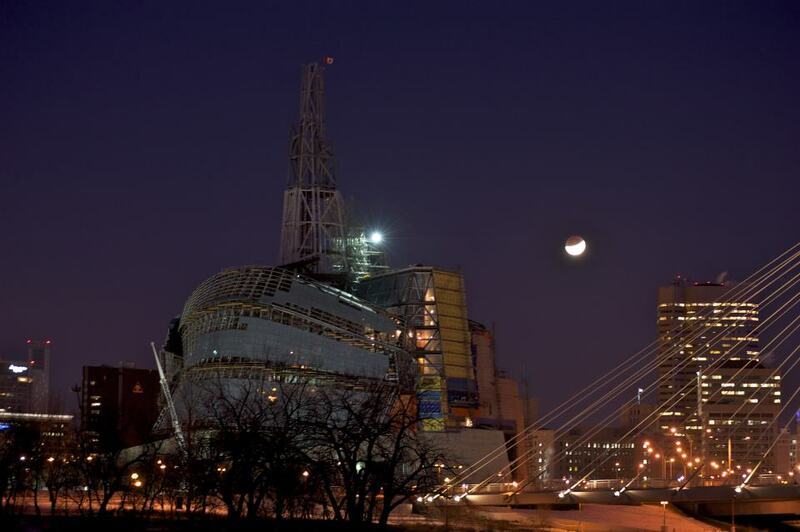 Moonkey was presented as part of Nuit Blanche event at the Winnipeg Art Gallery. The date was October 1, 2011. Nuit Blanche means White Night. This year Nuit Blanche is on Saturday, September 29th, the night of a Full Moon. What can only be described as a White Night in relation to a New Moon being a Dark Night. Moonkey by the StArmy from Syncwinnipeg on Vimeo. 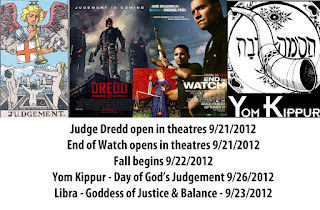 This coming weekend as the moon approaches its fullness the movie Looper is being released into theatres. 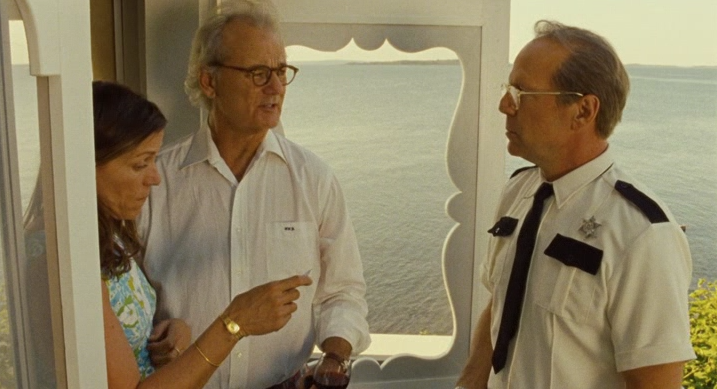 Looper stars Burce Willis, who is also in Moonrise Kingdom and Moonkey! 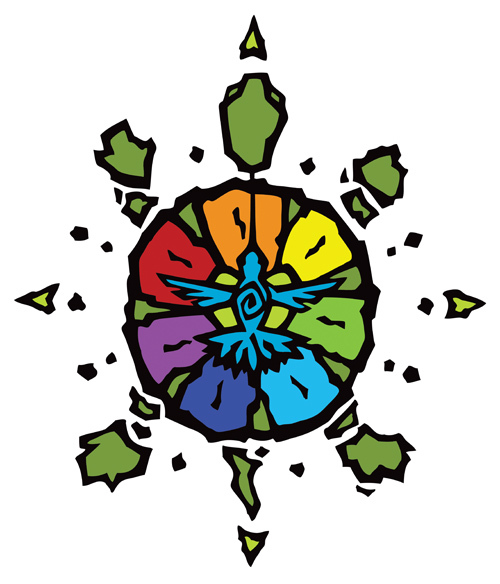 OK. That's all for now. Have a wonderful Full Moon and White Night! Later that same day a new poster dropped at IMPawards, one of the places where we keep track of starry movements. 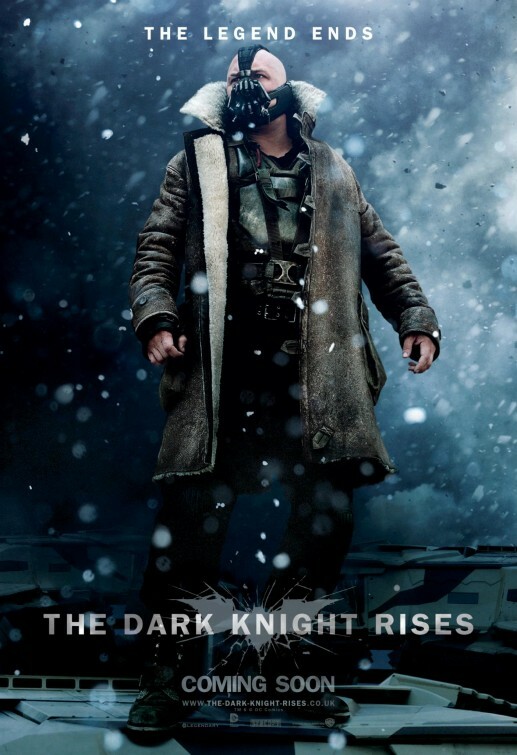 This was the first time I had seen any image of The Dark Knight Rises. 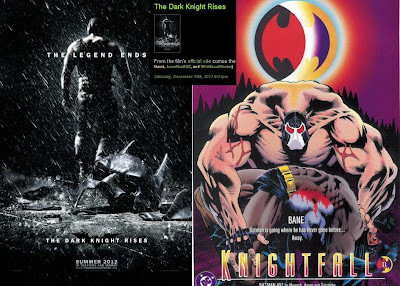 As a bit of a geek I remembered that the tale of Bane braking Batman was originally told in the Knightfall Comics of the early nineties. The logo of Knightfall was an eclipsing Red Moon, just like the Red Moon Eclipse on the same day as the release of the poster for the film inspired by the Knightfall Comics. Strong sync. Little did I know, at that point, that the film itself would entrain with the Moon again by opening near The Dark Night aka New Moon, as Jim explains above. This image represents a powerful moment for me as I made it the same day I saw Grimes - one of my favorite artists right then - sing "see you on a dark night" in Winnipeg on a New Moon aka a Dark Night. Connecting it with the release of The Dark Knight felt like an amazing sync which became even more potent when the Aurora Shooting happened. The video "Web of the Dark Night" shows how the Spider-Man films entrain with The Dark Knight Aurora Shooting. Specifically of interest here Emma Stone is shown as starring in The Amazing Spider-Man and Gangster Squad whose trailer so eerily reflects the shooting it was pulled from circulation. Above we see a list of sequential 2012 moon phases including the July 3 Full Moon and the already much discussed July 18 New Moon (when Grimes sang: "See you on a dark night") near the release of The Dark Knight. These are screenshots from Wikipedia's 2012 in film page and we see the release dates of The Amazing Spider-Man (July 3) and The Dark Knight (July 20) both entrain with Moon Phases. I didn't realize this when making "Web of the Dark Knight" but we now see that two of the key films referenced in that sync video are indeed associated with the Full Moon of July 3 (The Amazing Spider-Man) and its directly following New Moon on July 18 (The Dark Knight). Today I walked passed this poster of Audrey Hepburn in a shop window and snapped it with my ever present and much loved iPhone camera. 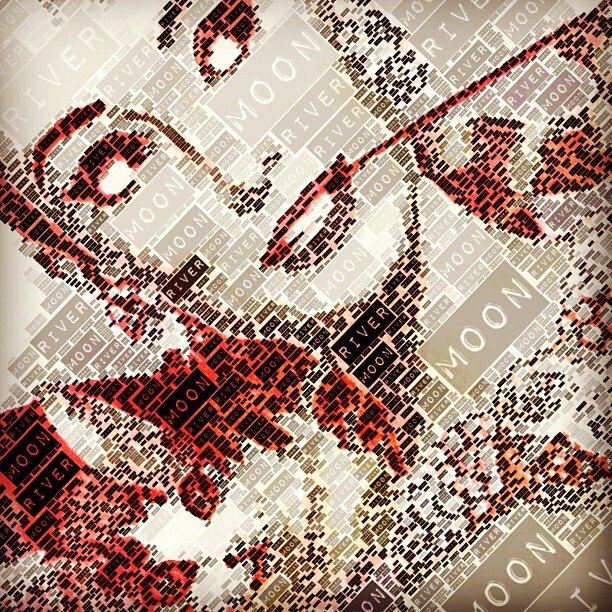 I went to town, editing it heavily on the iPhone, adding the words "Moon River", as we are heading for a Full Moon on Saturday and Audrey sings the song "Moon River" in the film this poster is from, Breakfast at Tiffany's. 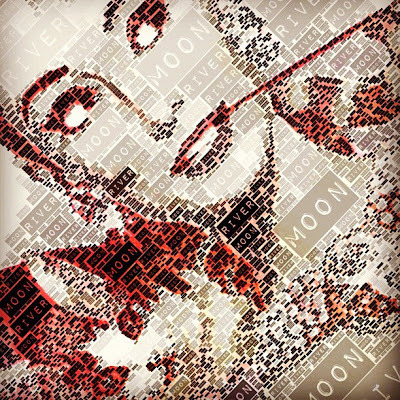 After publishing the picture to Instagram and Twitter as "Moon River" I see @syncwinipeg post our "Moonkey" sync video featuring Audrey singing "Moon River" in honor of Andy Williams who passed away today, who is also famous for singing the same song. We read how I explain that I had not known about Andy dying when posting the picture and Jim jokes that I am lying. One of the key films in Moonkey is time travel film 12 Monkeys starring Bruce Willis. The MON of MONkey echoes MOON and the association of Monkeys and the Moon is explored overtly and at length in Moonkey. 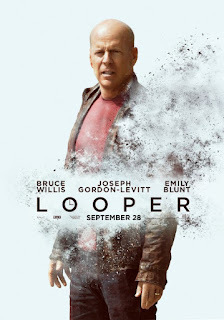 We note Bruce Willis stars in another time travel film "Looper" that opens this weekend seeing a Full Moon on Saturday. Just to reiterate, this weekend of the Full Moon aka White Night sees the same contemporary art celebration "Nuit Blanche" (meaning White Night!) that we created Moonkey for last year. A loop of syncs connecting last year and Bruce Willis' film career. On another level a sync loop is being completed between the powerful events around the time of the June 18 New Moon aka Dark Night leading up to this Saturday September 29 Full Moon aka White Night. See you on a White Night! Audrey Hepburn's Birthday is May 4. 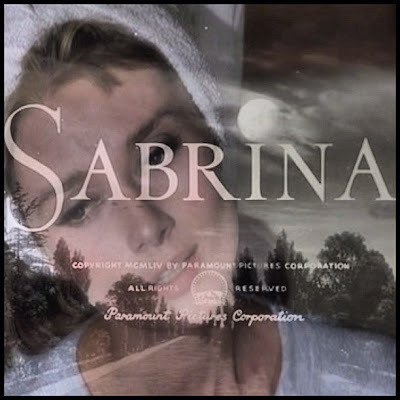 I made the image above on that day earlier this year to celebrate, combining her moon resonating roles in Breakfast at Tiffany's and Sabrina. 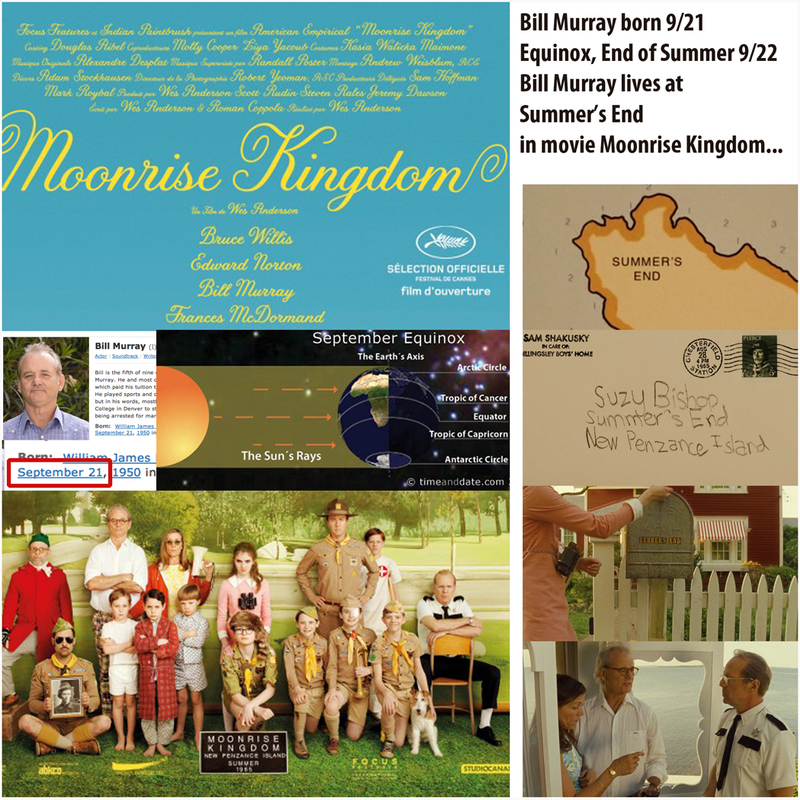 Scenes from these films are used in Moonkey. 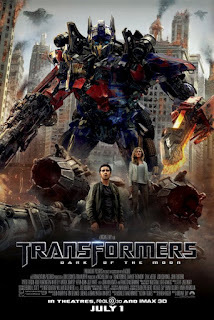 May 4 is also the date The Avengers was released, the highest grossing film so far this year. I saw The Avengers on the Saturday evening of May 5 at Grant Park. When I walked out of one of the best movies I had ever seen I turned and saw the so called "Supermoon". That full moon "just so happened" to be timed perfectly with its perigee (closest approach), thus bigger and brighter then usual. I was kinda skeptical about the visibly bigger & brighter "Supermoon" till I saw it myself right after all the "Super Hero" action on the screen. It was indeed very special and perfect for 2012's biggest film (maybe we must wait for The Hobbit before we count our chickens..), opening on the same weekend. Clearly the moon and cinema have a special relationship as shown up by the syncs related above. The moon is a big reflector of sunlight just like the film screen, shining because of the light from the projector. Both cinema and the moon also associate with silver, as the metal of the moon and as the silver screen.